Our Emissaries—veteran enterprise sales experts at Fortune 500s—have seen some great sales kickoffs (SKOs) in their day, as well as plenty that were not-so-hot. So they know that SKOs, done right, can have a galvanizing effect on sales teams, at once helping reps acquires new skills and positively impacting overall morale. But what happens next, they argue, is just as important as the day-long event itself. How do you keep everyone on your team engaged and invested once the SKO wraps up? Six weeks or six months out, that isn’t always easy—but with these tips in mind, it also shouldn’t be so hard. In many organizations, sales teams are decentralized, with reps located throughout the country or even around the world. That’s why it’s a good idea to not only use your SKO to bring together members of the team who rarely interact with each other, but ensure that those conversations carry on throughout the year. For example, you might break people into teams at the SKO, and assign each team a challenge based on real problems they face every day. What internal factors slow down the sales process, and how can you fix them? What are your most frequent objections, and how can you change or position your product or solution to combat them? Inviting salespeople to work together, thinking outside the box, and building off of each other’s ideas will energize the room. From there, you should challenge them to continue the dialogue. As one example, you could set the expectation that at some future date—say, three months or six months out—they’ll need to report, as a team, on their solution, and talk about how it has evolved throughout the course of their collaboration. Beyond being an effective way to carry the momentum from your SKO forward, it’s an approach that just might lead to major breakthroughs on your biggest business challenges. Your sales kickoff was invigorating and inspirational—great! Now it needs to conclude with a clear directive. Like any successful sales call or prospect meeting, the most important thing is to leave with clear next steps. After all, the end-all-be-all of your SKO is to prepare people to be better, whether that means improving on skills or simply ensuring that your numbers this year outpace those from the year before. The only question is: What do you intend to measure, and how are you going to monitor and report on it? Successful SKOs not only clearly define KPIs, but articulate to everyone on the team how and when you’ll be tracking these metrics throughout the year. Collecting feedback from all participants in your SKO is a simple best practice. After all, you need to hear what everyone on the team has to say. What worked, what fell flat—and where can we improve next year? Beyond practical feedback on the event itself, however, you should also solicit input on business processes, pain-points and more. Once you’ve compiled the results, think critically about what your team had to say—and wherever possible, try to incorporate that into sales operations going forward. Better yet, share your collected findings with the team so they can see that you listened, understood, and valued their input. Better yet, revisit what you heard in later meetings throughout the year. What has your team done to overcome the pain points they shared? How have they leveraged best practices that surfaced during the kickoff? Have processes improved? All of these are valuable points to reference repeatedly, and you shouldn’t let them die once the kickoff wraps. Let a week go by after your SKO, then follow-up by sending a thoughtful, well-worded thank-you note. The goal of your message is simple: You want to clearly express your gratitude to everyone involved in the event. Remember, your sellers set aside valuable time for the event—time they could have spent earning commission. So now’s a great time to thank them for attending the event, and it’s an even better time to highlight wins and key contributions from your team. If someone had a great idea during the meeting, share it in your email. If a team collaborated especially well, share that too. Did an exec show up and deliver an inspirational keynote address? Now’s the time to thank them. 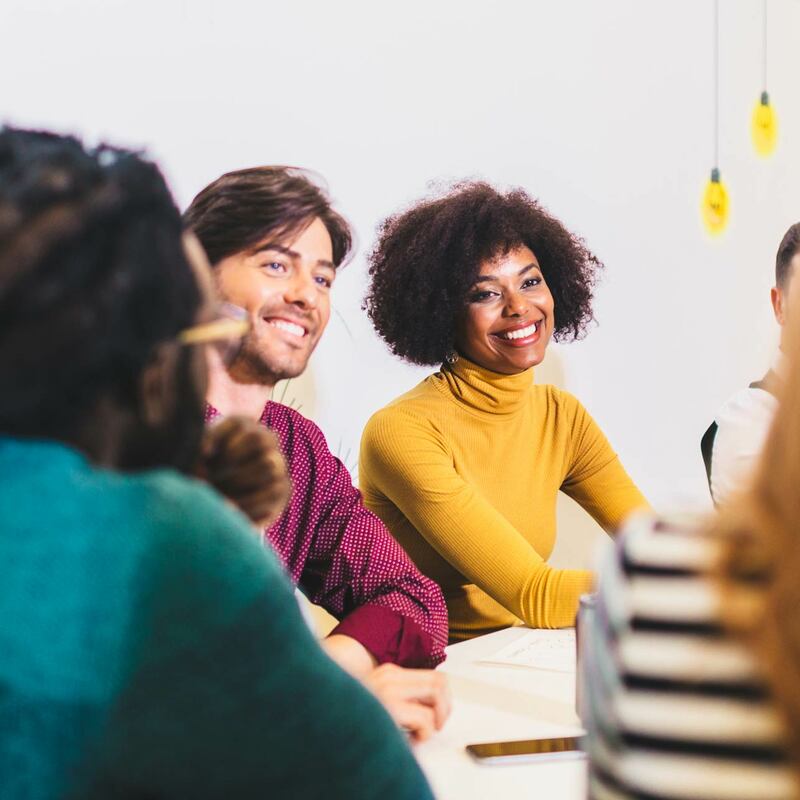 It sounds simple, but showing gratitude and highlighting key contributions can help solidify relationships, keep your team energized, and open channels of communication that could prove invaluable down the line. Given the amount of build-up, prep work and financial investment ($2,000 per sales rep, on average) that goes into the event, it’s easy to think of your SKO as a single, one-time deal. But that’s an approach our experts caution against. Rather than high-octane one-offs, the best SKOs are developed with an eye toward future iterations. In effect, these events should be organized as smaller, regional versions of the initial SKO, and take place on whatever cadence—say, quarterly or semi-annually—that makes sense for you and your team. Whatever cadence you decide on, the crucial thing is to frame the SKO from the outset as the first in what will be a series of ongoing engagements. It’s a smart strategy: Beyond setting goals, building camaraderie, and solidifying relationships, holding smaller events throughout the year can keep everyone aligned on goals and best practices, rather than letting the energy of the SKO fizzle out once your sellers return to their desks. A great sales kickoff (SKO) can position your team for success throughout the year, but how you follow-up oftentimes determines your overall success as much as the initial event itself. So you need to think long term—not just about keeping your team engaged (and off their phones). The good news is there are simple steps, such as strategically following up with relevant stakeholders and establishing the SKO as more than a one-and-done event, that can greatly improve your odds of success. Take it from our enterprise sales experts: Without these key steps, all you’ve done is squandered a valuable day your sellers could have better spent growing the bottom line. The latest Emissary updates and industry news, straight to your inbox.